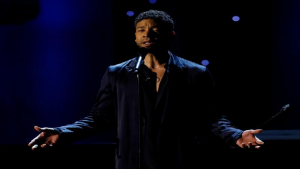 American Actor Jussie Smollett has pleaded not guilty to charges that he lied to police about a homophobic and racist attack he’s alleged to have been the victim of in Chicago in late January. The star of the America drama series Empire was charged with one count of felony, disorderly conduct for filing a false police report after claiming that he was attacked by two men who placed a noose around his neck while pouring a “chemical substance” over him. Police had for weeks been investigating the alleged incident as a hate crime. Police say the 36-year-old actor staged a fake assault on himself a week after writing himself a racist and homophobic letter, delivered to the set of his workplace, in an attempt to get publicity and due to unhappiness with his salary. According to law enforcement, Smollett paid two brothers – both American citizens of Nigerian decent – to help him stage the attack. Smollett also claimed the brothers – Olabinjo and Abimbola Osundairo – shouted slogans associated with support of President Donald Trump, poured bleach on him and put a noose around his neck. One of the brothers was an extra on the Empire show and the other was Smollet’s personal trainer. Smollett paid $3 500 to stage this attack and drag Chicago’s reputation through the mud in the process. The actor was released on bond of $100 000 and had to surrender his passport during a hearing where the judge, warned that the allegations, if true, we utterly outrageous. Superintendent Johnson provided more information about the relationship between Smollett and the bothers, who had travelled abroad since the alleged incident in late January. Smollett could also be charged federally for sending himself the racist and homophobic letter and faces the prospect of several years of jail time if convicted. His attorney has called the charges outrageous. The actor is due back in court on March 14. The post Empire actor pleaded not guilty for lying to police appeared first on SABC News – Breaking news, special reports, world, business, sport coverage of all South African current events. Africa's news leader..